There’s nothing we can say that hasn’t already been said about the unmatched impact PRINCE had on the world. 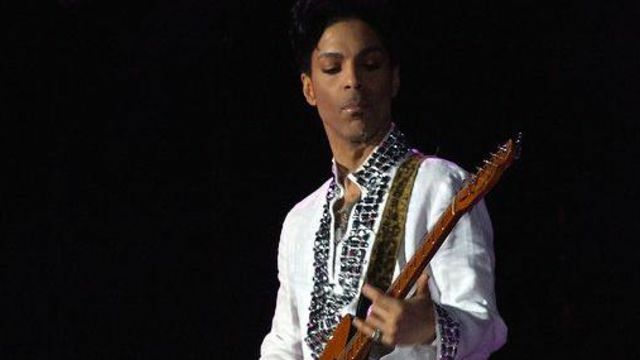 From musicians to actors, the president and more, fans and fellow artists of all walks of life have expressed their immense sadness and appreciation for The Purple One, sharing their stories of discovering his music, encountering him in real life, and his idiosyncrasies. What's behind them all are a deep love for one man’s inhuman, immeasurably impressive contributions to art, expression, individualism and every genre -- read that again, every genre -- of music. He truly is something we will never understand -- but on a day like this, it’s reassuring to know he always was/will be so deservedly appreciated. SPIN recounts the night I personally had the chance to see PRINCE in all his magical glory here; watch the pure wizardry of him effortlessly playing some rock icons off the stage and then throwing his guitar into oblivion here, read about his influence over hip-hop and dance music and his battles with the industry and more below, but most of all listen, watch and celebrate his unique legacy... NICKI MINAJ is on the cover of TIME MAGAZINE’s influencers issue, and LIL WAYNE details her talent and rise. KENDRICK LAMAR is also honored... MTV is reclaiming the M in its name -- but is the audience still there?... POP ladies and their personas... The copyright legal battle rages on... See you guys next time!